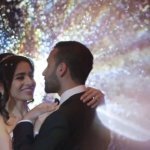 We here at SDE Weddings, Toronto’s premier wedding videography, cinematography and photo-booth group, know all too well that the deepest love that is found between couples is the love of two best friends. A life-long journey with humble beginnings, growing into something beautiful, culminating in a wedding day and a life happily ever after. That’s why for our videographers and cinematographers, having filmed countless weddings over the years, the story of Gigi & Noel serves as a special reminder of what makes a couple truly magnificent through our lenses – the qualities of what makes newlyweds shine on their wedding day, what makes the two parts become “whole” at the end of it all. We had the utmost pleasure working with Gigi & Noel on their wonderful wedding just this past summer, on July 26th, 2015 at a spectacular country-side venue at the Eagles Nest Golf Club in Maple, just a stone’s throw away from Vaughan. Gigi & Noel’s story is one of two best friends, knowing each other for well over six years, meeting unexpectedly during their undergrad days and finally finding true love in one another through thick and thin. For such a strong bond between two souls, filming their wedding day is truly a humbling task, and one which our videographers and cinematographers did their best in performing – from first frame to last, all to capture the magic which makes such a friendship stand the test of time. So scroll further and learn more about Gigi & Noel on their unforgettable wedding day, and have a look at the highlight reel below, specially made by our videographers and cinematographers for a very special couple on a truly magnificent day. With two best friends like Gigi & Noel, it’s only right that the first scenes our videographers and cinematographers feature in the highlight would be the morning’s note reading, all in full. In it, we get a very cute retelling of Gigi & Noel’s story, of how they first met, of their days as undergrads, and small glimpses into the shared experiences which helped form the two into the happily married couple they are today. 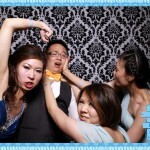 Also, what would a Chinese wedding be without the door games? Having filmed many Chinese weddings, it’s always a fun experience for our videographers and cinematographers to be a part of all the early morning shenanigans between bridesmaids and groomsmen, between bride and groom. And in contrast, from fun and siliness to somber tradition, the tea ceremony afterwards held by Gigi & Noel to greet elder family members and loved ones, bridging the gap between generations. Though through it all, our favorite scene from the morning would have to be the couple’s first meeting, of Noel greeting her wife-to-be, Gigi, with a bouquet of flowers. A sentimental scene which sums up the emotional breadth which makes Gigi & Noel’s friendship one to last a lifetime. Aside from the morning’s first look, we also had featured a more “formal” first look and first kiss at the Eagles Nest Golf Club in Maple, just by a small country-side pond underneath a beautiful spotless summer sky. 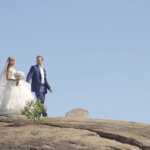 Summer weddings are a favorite for our videographers and cinematographers, and doubly-so for Gigi & Noel’s case, with such perfect weather so as to host an outdoor open-air wedding ceremony. A favorite scene, one for the ages, was of course the couple’s completed vows and their first kiss as husband and wife. Gigi & Noel, with a piece of life’s puzzle in place, greeted with unanimous applause from friends and family. And to top such a wonderful wedding ceremony, both bridesmaids and groomsmen continued where they had left off in the morning’s door games, with even more fun scenes with the now newlywed couple, all featured by our videographers and cinematographers in the highlight reel. One funny scene, which we couldn’t help but put in the highlight, was of Gigi chasing Noel through the golf-course with a golf cart, as best friends would naturally end up doing when left with a golf-cart, of course. And to begin a long evening of celebration and commemoration, Gigi & Noel finally made their grand entrance to the Eagles Nest’s ballroom to be greeted by their closest family and friends. For the evening, we feature two very special dances. 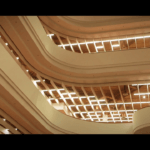 Firstly, Gigi & Noel’s first dance; in a beautiful and brightly lit ballroom, and lastly, a later dance between the newlyweds upon nightfall which opened up the ballroom floor for a night full of fun and excitement. Our videographers and cinematographers had featured many lively scenes from the evening in quick succession, all to highlight the energy and excitement of the evening. And to give the highlight a very special closing message, our videographers and cinematographers had featured the unique lighting feature of Gigi & Noel’s ballroom setup. Spelling out “L-O-V-E” in bright letters, a scene matching the highlight song, and indeed the “word of the day” for Gigi & Noel. All in all, for us here at SDE Weddings, Toronto’s premier wedding videography, cinematography and photo-booth rental group, working with Gigi & Noel reminded us deeply, as weddings always do, of how the bond of friendship can deepen and grow in love and spirit, to become something beautiful in the end. We wish Gigi & Noel all the best, and hope that their friendship as husband and wife could only grow deeper and richer throughout their years. 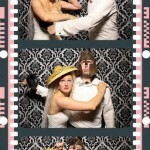 Here are the photobooth photos that we took at the wedding reception. Wedding Venue: Eagle’s Nest Golf Club | 1000 Dufferin St. Lunch services: Golden Court Abalone Restaurant | 270 West Beaver Creek Rd.